The hit romance film, The Notebook, featuring Canadian actors Ryan Gosling and Rachel McAdams will soon be adapted into a Broadway musical! On Thursday, January 3, singer and songwriter Ingrid Michaelson excitedly made the announcement on the Today show. Michaelson talked about how she had been given the go-signal to reveal this development. She has been working on the musical for almost a year now. She also shared on the show that it has been interesting to write songs for a character rather your own self. It’s going to be written by Bekah Brunstetter, a producer for NBC’s This Is Us. 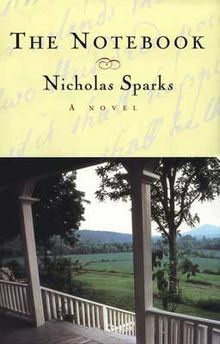 The musical will be produced together with Nicholas Spark, the author of the book. Spark has shared to his followers on Twitter how he is thrilled in this new development to his bestseller book. The Notebook, which tells about a love story characterized by passion and turbulence and lasting love, was first published in 1996. In 2004, it was adapted into a movie starring Gosling and McAdams. Despite receiving poor reviews from critics, the movie went on to become a blockbuster hit with a cult following. The movie shot both Gosling and McAdams into stardom, and their reel-to-real love story is still part of the movie’s history to this day. Although at the beginning, both stars were at each other’s neck, they eventually fell in love in real life, dating from 2005 to 2007, then again 2008, before finally calling it quits. While it would be quite impossible to have both Gosling and McAdams take on similar roles for the musical, this is some exciting news for the book’s and movie’s fans. No casting has been announced yet nor an opening date scheduled. The Notebook joins the ranks of other Hollywood blockbuster hits like Mean Girls, Clueless, and Pretty Woman that have been adopted into a Broadway production.